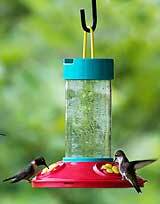 There are lots of female ruby-throated hummingbirds at my feeders, but most days I see only one male. I watch for the lightning flashes of his rubies and emeralds. I can tell when the male is coming up behind me. At one tenth of an ounce, a male is slightly smaller than a female, and his tiny wings strum a noticeably higher note. I love to feel the wind of their wings on my skin as they whirl around me or motor up for a close look at my face. 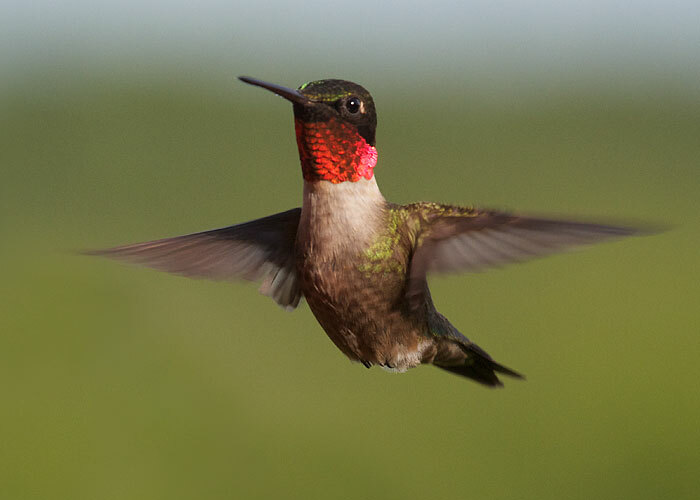 Hummingbirds of North America will teach you to identify every hummingbird of North America—males, females, and immatures. 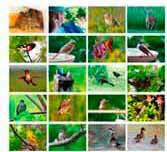 For the serious student of hummingbirds. Great movies and information.